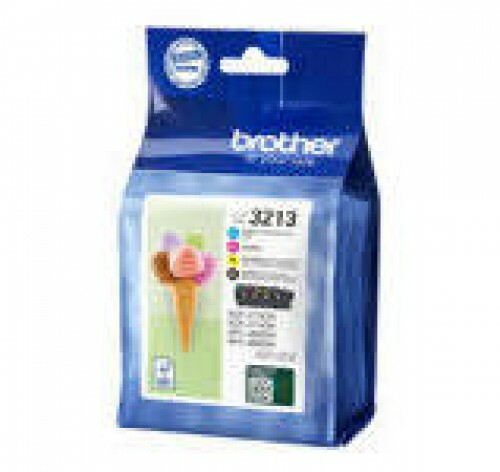 Genuine Brother LC3213VAL high yield black, cyan, magenta and yellow ink cartridges - multi pack. Each cartridge prints up to 400 pages. The LC3213VAL value pack, contains one of each cartridge colour: Black, cyan, magenta and yellow. Ensure you don't run out of ink when you need it most with genuine Brother ink that is fully compatible with your printer.